Thank you for visiting our website. We understand that purchasing or leasing a commercial space or home is one of the most important financial decisions you will ever make. One of our primary objectives is to help bring focus to your vision of the perfect business property or home. When you work with us, you will work with a knowledgeable real estate professional who is experienced, competent and understands how to help you accomplish your goals. Each choice is unique with its own needs, capabilities and future potential. Crifasi Companies is comprised of 4 divisions: Real Estate, Management, Maintenance, and Development. Crifasi Real Estate celebrated its 20th anniversary in 2014. 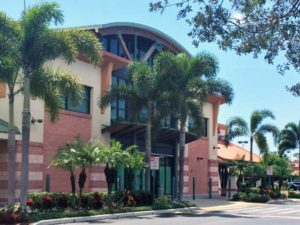 It continues to address commercial sales and leasing needs in the greater Naples area. Crifasi Management has been managing several prominent commercial and mixed use properties in Southwest Florida for many years. Crifasi Enterprises is the development arm of the company. It has been developing shopping centers and office projects in Collier County for several years. Crifasi Maintenance is a full-service maintenance company dedicated to serving owners and managers of commercial properties. No property is too big or too small.